Pakistan Cricket team is going on Tour of India at end of next month December where it will be playing 5 T20 and ODI matches with the historic rivals. Thousands of Pakistanis wanted to go to India to watch this series live in Ground and support their team but there is a bad news for all these fans that only 500 Pakistanis will be given tickets for this Cricket series. This decision is taken by the Indian Cricket Board BCCI yesterday in a meeting. Only 500 Pakistanis will be allowed to get tickets for matches in all the venues. 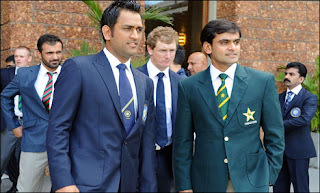 The series between Pakistan and India will start from 25th December 2012 with a T20 match.